This is our best selling bib apron with pockets, nice price point, good size to fit most waitstaff. The three lower pockets and adjustable neck loop make it very versatile. This is a winner! This is our most popular bib apron, available in a large array of great colors. 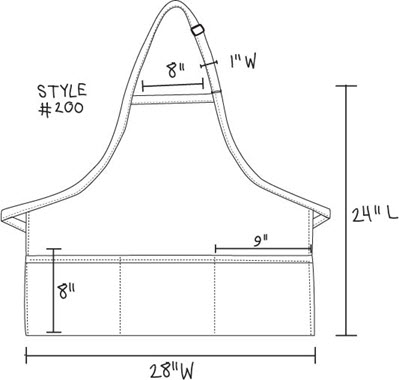 This is a 24"L x 28"W three pocket apron that is available in two sizes and includes an adjustable neck loop. Many other restaurants choose these great waitstaff aprons for their needs, so do yourself a favor and place an order for these selections today! Your staff will love these aprons! Fabric: 65% Polyester 35% Cotton, High Quality Twill 7.5 oz. Soil Release Finish, Wrinkle Resistant Finish. We have 14 cooks for our Osage wardances. They love your aprons! They're sturdy and hold up well, continuing to look good over the years! We buy them new aprons every year in keeping with our color scheme for that year. These aprons are beautiful. They are exactly what I hoped they would be. I ordered dark pink and it is a beautiful color. I purchased 46 for our ladies group at church. Everyone loves them! looks great in khaki, about to order some more in hunter. We have been using these aprons for years, we love the color selection! 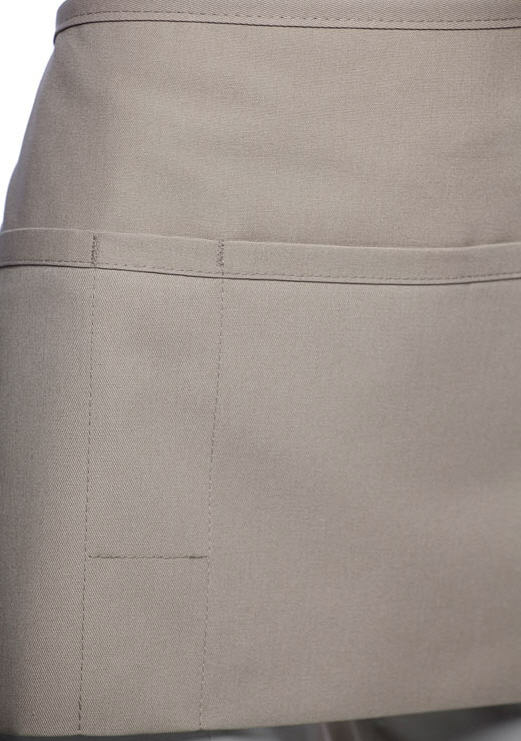 Hi, If the optional pencil divide is added on, what is the width measurement of each pocket? The pocket with the 2 inch wide pencil divide is 7 inches wide, the other two pockets are nine inches wide.